Yes, I know Crock Pot is a brand of slow cooker, but I’m an old dog and I grumble when I’m forced to learn new tricks. Add that to being raised in Texas where all slow cookers are referred to crock pots and it’s doubly embedded in my brain. The only crock pot (there I go again) in my house that I don’t call a crock pot is the Ninja. I like the idea of having a ninja as a sous chef. I’ll bet they are proficient with the knife. I also like being able to say things like, “The ninja is cooking dinner tonight”. And I especially love yelling, “Don’t let the ninja burn down the house!” as I walk out the door. Confusing my family is one of my gifts. To say I love my crock pots is an understatement. I have a very close, personal relationship with my crock pots that most people don’t understand and, really, neither do I.
Crock pot is a member of the family. 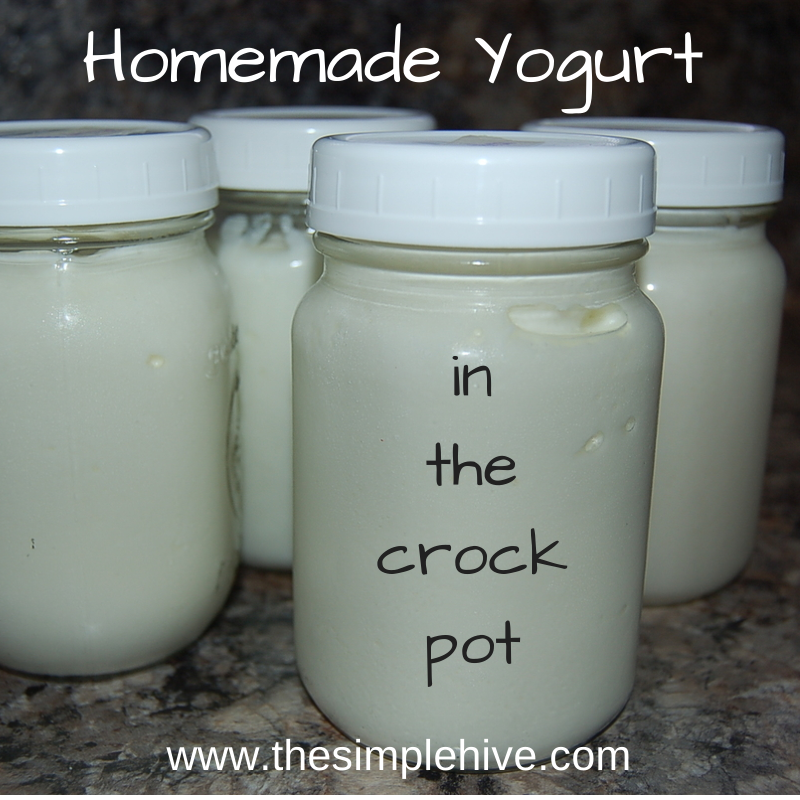 Homemade yogurt is the most recent culinary delight that crock pot concocted in my kitchen. Now, I have made yogurt before using various methods. The yogurt maker I had, left me with a very thin yogurt that just wasn’t my thing. When making it using a Thermos, I was limited with the small capacity. With the crock pot, I can make a huge batch! This is important because we eat massive quantities of yogurt around here. This recipe is a result of tweaking a basic recipe until I reached the desired flavor and consistency. Pour the milk into the crock pot. Cover and turn to high heat. Now go on about your business for the next two hours. That’s about how long it will take for the milk to reach 180 degrees (Fahrenheit). At this point, remove the lid and turn off the heat. Let the milk cool to 115 degrees. Stir the milk periodically and test with a thermometer after stirring. 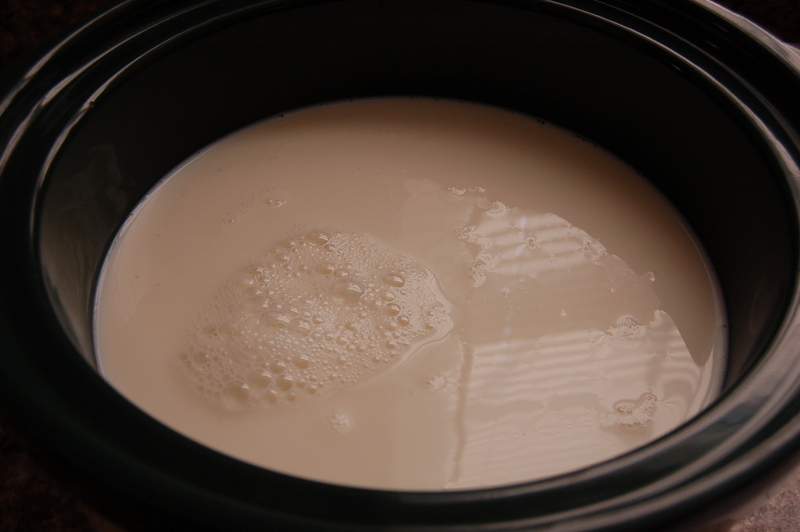 As the milk cools, it will form a skin on the surface. Remove the milk skin and try not to gag as the words “milk skin” rattle around your brain. When the milk reaches 115 degrees, whisk in the powdered milk making sure to not have any lumps. I run the powdered milk through a mesh strainer to get rid of any lumps before adding to the liquid milk. It works. Do it. Stir in the yogurt and mix completely. Only 2-4 tablespoons of yogurt is needed as a starter. The lovely bacteria need plenty of room to go forth and multiply. Resist the urge to add more yogurt than necessary. It will not result in a thicker yogurt. 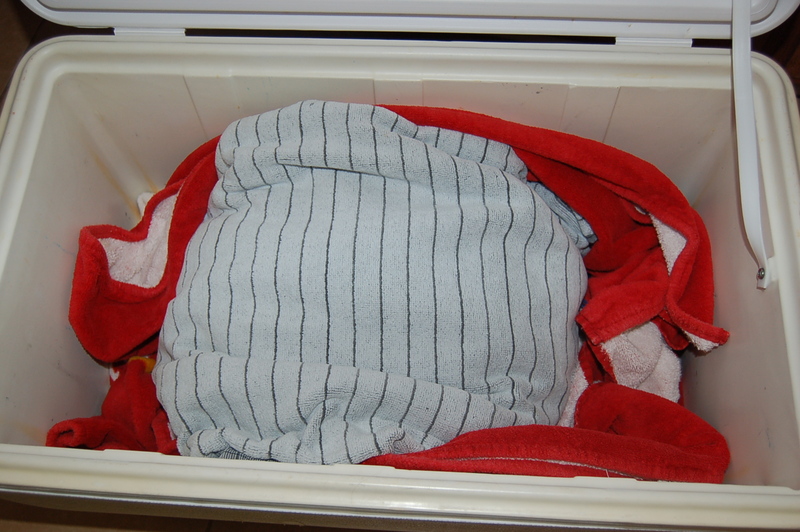 Place a large towel in the bottom of your cooler. Put the whole crock pot into the cooler and place another towel or two on top. Then bring up the bottom towel to wrap the crock pot entirely and shut the cooler lid. Now, here’s the hard part. Leave the crock pot in the insulated cooler for 10-12 hours. No peeking! After 10 hours, check on the yogurt. If it’s the consistency you like, then you can move it into separate containers and place in the fridge. I usually begin the yogurt making process early in the morning so that the yogurt is ready to place in the refrigerator, crock and all, right before I go to bed. In the morning, I transfer the yogurt into four 16 oz. jars. I leave a couple of the jars plain so they are versatile. We use yogurt in smoothies, in place of sour cream and for baking. The remaining yogurt is made into creamy vanilla yogurt. You can use any sweetener you like, but I like the “no added sugar” approach so I use 12-15 drops of Vanilla Stevia per 16 ounces of yogurt. 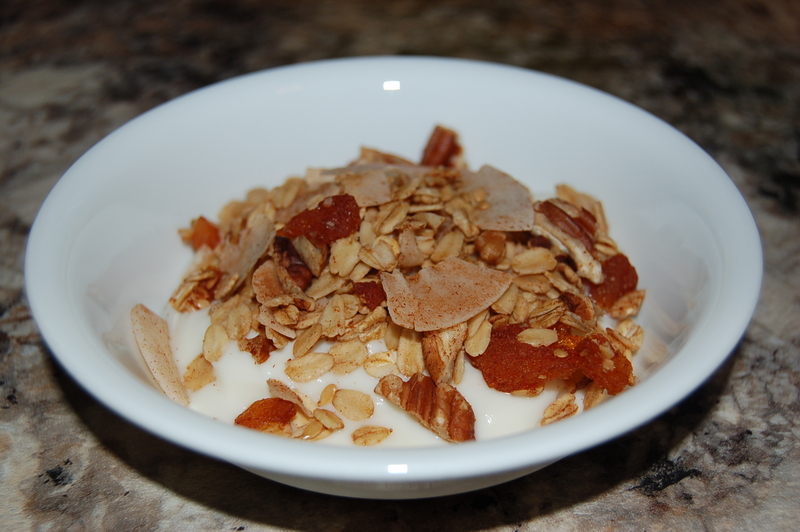 Top a bowl of vanilla yogurt with homemade gluten-free crunchy pecan and coconut granola and you will be happy you did. Tip: Don’t eat all the yogurt! Save 2-4 tablespoons to use as a starter culture for the next batch. 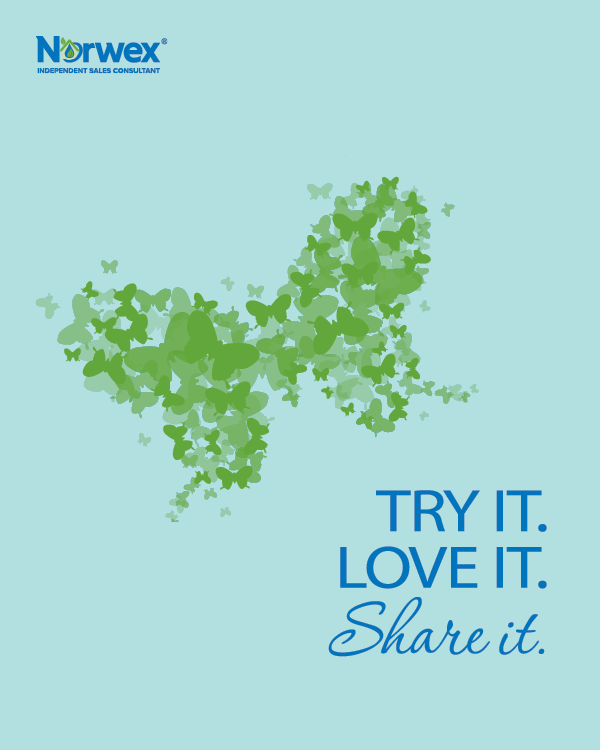 Do your gut a favor and give probiotics a chance!